Greg Gard has the Wisconsin Badgers playing like it's March already. The fourth-year head coach has led Wisconsin to the No. 19 spot in the AP Top-25, behind the sturdy play of NBA-hopeful Ethan Happ. The redshirt senior has been named to the Wooden Award watch list, awarded to the nation's best player, and leads the Badgers' offense along with guard Brad Davison. Not only has Wisconsin been rolling, but they've been an easy pick since entering the New Year. In their last five games, the Badgers are 5-0 and are also perfect against the spread in those games. Additionally, Wisconsin has yet to lose a second half since 2018 and is (-1) for the second half against an unsteady Minnesota Gophers team tonight. No. 19 Wisconsin hasn't been outscored in a 2nd half in 2019 (9 straight games). Despite going 6-3 in 2019, the #Badgers have outscored opponents by 72 pts (8 PPG) in the 2nd half. This trend can likely be attributed to the experience of Happ, Davison, and other key role players, like Aleem Ford and D'Mitrik Trice. Coach Gard has the Badgers playing inspired basketball, regardless if Wisconsin is at home or on the road. The Badgers' second-half success has translated well from non-conference play into the Big Ten schedule. 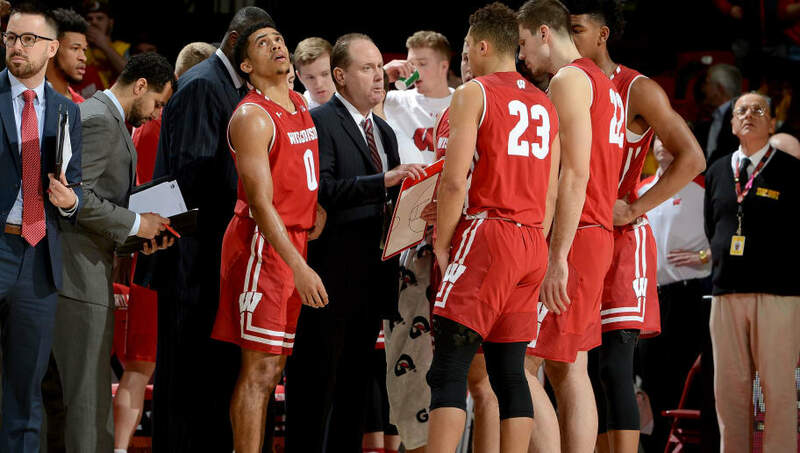 Despite falling behind against talented opposition like Michigan and Maryland, Wisconsin has had remarkable success closing out games, which bodes well for bettors and Badgers' fans alike. With road tests at Michigan and Northwestern looming, as well as a primetime showdown with Tom Izzo's Spartans at the Kohl Center next Tuesday night, Coach Gard will look to keep his team's second-half success going. Wisconsin is one of the only teams in the conference to have a winning record both at home, as well as on the road, which is a testament to Coach Gard's preparedness. As the Badgers creep closer to the Top-15, teams will start to circle Wisconsin on their schedules, and prepare for the four-guard attack that the Badgers sometimes employ around Happ. First up, however, is a test with the Gophers at Williams Arena in the Twin Cities.